The Britax B-Lite Pushchair is lightweight, agile and easy to drive. Great for urban environments when you need to hop on and off public transport, no wonder this is one our best-selling products. The B-Lite Pushchair by Britax can be made into a travel system, this means adding an infant carrier like the Britax Baby Safe Car Seat (available separately, Click & Go Adaptors required). Upon arrival at journeys end, the fold is very compact allowing you to pop it into a small space til' you need it again. At just 7.4kg, the B-Lite Pushchair is the lightest travel system compatible stroller that Britax make. A stroller this versatile is very useful for the whole family with newborns and toddlers alike. An adjustable backrest, calf support and a lie flat position add to the product's versatility. As it can be easily folded with one hand, the B-Lite means you always have one hand free which is so useful when you're on the go. 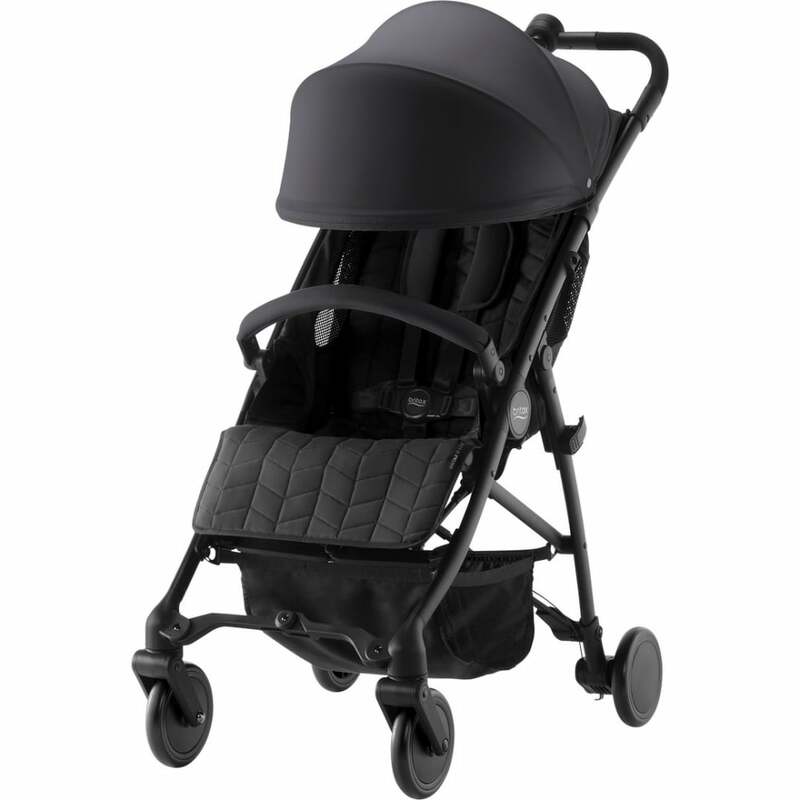 The folded pushchair, locks automatically and stands so that the fabrics are kept clear of the ground. The large UPF 50+ sun-hood protects against sun rays and weather and if it's super hot the back of the hood rolls up for better air circulation. This ventilation really is so important because when your little one nods off, their little body will heat up so the breeze keeps them comfy. A safe 5-point harness is adjustable, aiming to fit your child up til 15kg. The front wheels have swivel and lock mode for your personal preference, easily changed and an under seat storage basket for your bits and bobs. Last but not least, the tyres are puncture free, a great decision by Britax for go go go parenting.